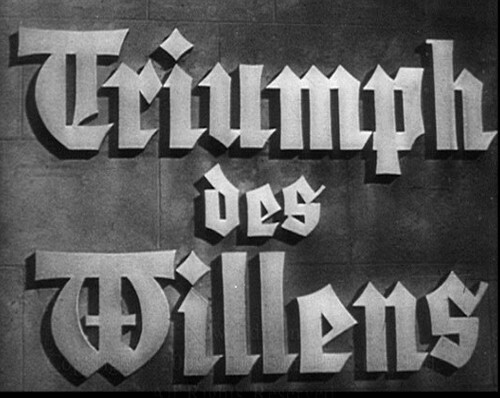 Title card from perhaps the most famous propaganda film of all time, Leni Riefenstahl's "Triumph of the Will" (1935). Hitler and the Nazis were repeatedly elected to power during the 1930s, one piece of government at a time, before Der Fuhrer assumed full-fledged dictatorial rule. The conscious and intelligent manipulation of the organized habits and opinions of the masses is an important element in democratic society. Those who manipulate this unseen mechanism of society constitute an invisible government which is the true ruling power of our country.... We are governed, our minds are molded, our tastes formed, our ideas suggested, largely by men we have never heard of. This is a logical result of the way in which our democratic society is organized. Vast numbers of human beings must cooperate in this manner if they are to live together as a smoothly functioning society.... In almost every act of our daily lives, whether in the sphere of politics or business, in our social conduct or our ethical thinking, we are dominated by the relatively small number of persons ... who understand the mental processes and social patterns of the masses. It is they who pull the wires which control the public mind.